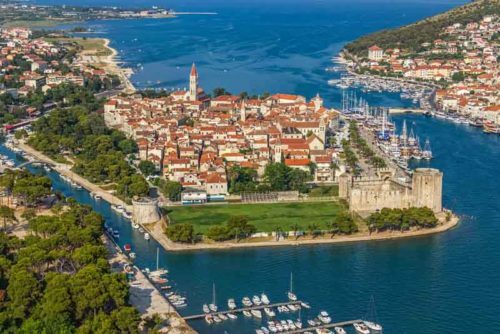 As the height of the Mediterranean yachting season approaches us, some of the world’s greatest yachts return to the yachting mecca known as Europe. 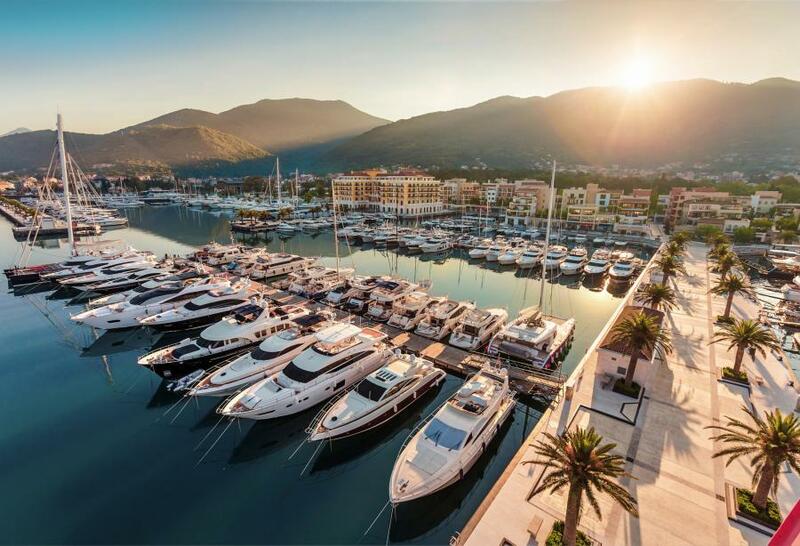 The Mediterranean yachting season generally spans from May through October, with many yachts arriving just in time for the glittering Cannes Film Festival and Monaco Grand Prix. European destinations are endless from Western Europe’s Côte d’Azur with her glorious blue waters, stunning beaches lined with palm trees, and many of the world’s most notorious A-List events, including the Cannes Film Festival to the Formula 1 Grand Prix in Monaco, to the Eastern European baroque towns, medieval monasteries and gothic churches of Croatia, to the winding cobblestone streets of the picturesque seaside towns of the Amalfi Coast, and even the breathtaking diverse geography of Turkey. 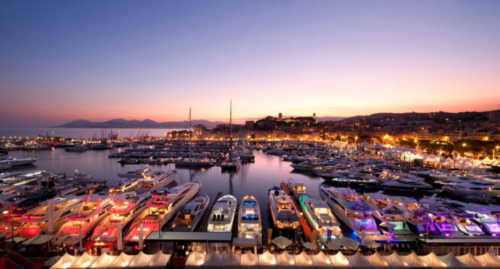 Worth Avenue Yachts offers a wide range of yachts for sale in Europe, the Americas and beyond! 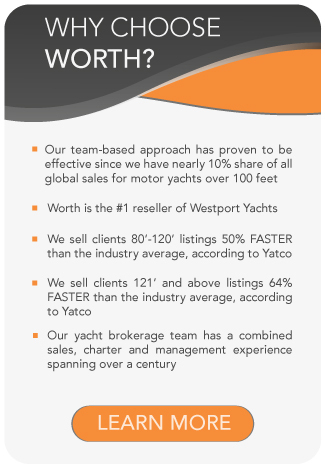 If you are in the market to upgrade your current vessel or looking to start on a new venture, now is the time to buy. 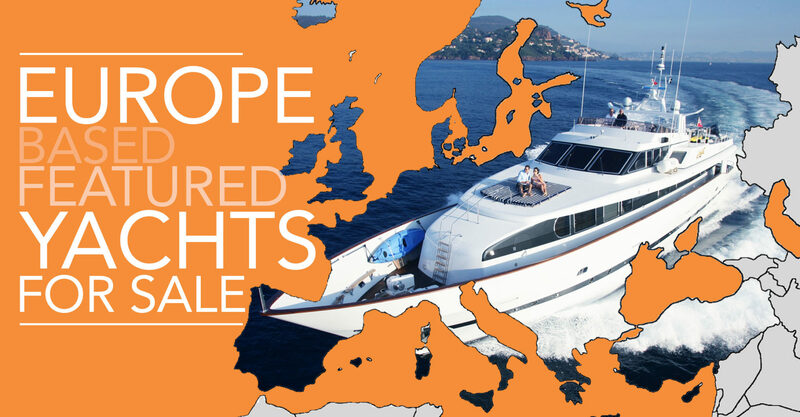 Where will your first European destination be on your new yacht? or call us at +377 99 90 7463. SOVEREIGN is an extraordinary yacht that was built to rival the quality and capability of the Northern European pedigree shipyards. She was built by an experienced yachtsman who made sure the build included every opportunity to be successful by providing the finest supervision, engineering, design, time and quality material available. Time of build was of no concern and quality was number one priority. 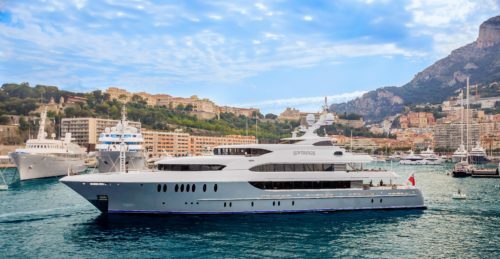 Her second and present owner has been the perfect custodian offering SOVEREIGN the “state of the art” upgrades, annual surveys both maintenance and class, providing the vessel with whatever was needed. SOVEREIGN offers six large staterooms with two true masters. She offers volume not seen on a 55m with additional attributes to include 1,100 GRT, elevator, beach club, high ceilings, huge exterior deck space, four fin Quantum zero stabilization, recent five year ABS survey complete, fresh superstructure paint, extended Caterpillar warranty until November 2021 with unlimited hours and much much more. Palmer Johnson GRAND ILLUSION is newly refit in 2017. The entire interior has been redesigned and redecorated but it’s not just the cosmetics and soft goods! During the refit the main deck and aft lounge area was repurposed, the main engines were serviced and the hull was extended allowing for a new transom and swim platform. 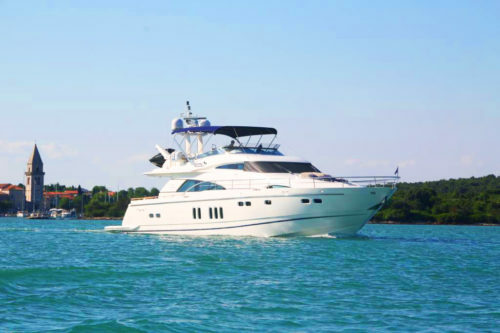 FRIVOLOUS yacht for sale is one of the well known 34m Sunseeker Yachts. A hugely successful model both for private use and charter. Her ample accommodation sleeps 10 people in 5 staterooms allowing the owner and guests to enjoy the well designed main salon and dining area. The master suite is located in the bow with views looking forward offering a sizeable master bathroom with shower, separate bathtub and WC. The aft cockpit offers an al fresco dining area with easy access to the flybridge and foredecks. The flybridge itself is spacious with a raised jacuzzi and sun pad. Going forward there is another dining table able to accommodate10 guests which is adjacent to the cocktail bar. FRIVOLOUS is an impressive vessel and beautifully maintained by her Captain and fastidious owner. Full interior and exterior refit in 2013, AVELLA yacht for sale offers luxurious surroundings in a beautifully maintained motor yacht. Her warm wood interior creates a cozy atmosphere. However, choice is not limited, Azimut AVELLA’s large flybridge offers an open air comfortable cruise and relaxation area. 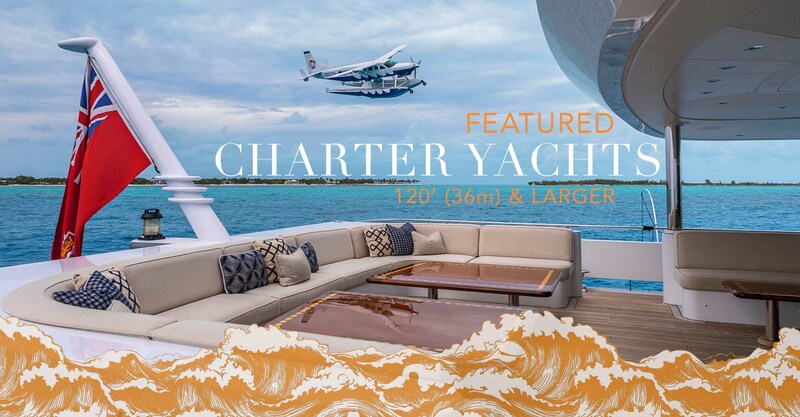 An option of al fresco dining both on the flybridge and aft deck, or enjoy a more formal atmosphere in the interior dining room. The 92’ Maiora ASHA has benefited from a refit during the winter of 2017-2018, which included new hull paint, new teak on the swim platform, new interior soft goods, including 3 sets of luxury Italian linens and numerous updates to the mechanical systems onboard. ASHA yacht for sale has proven to be a popular charter yacht, with a consistent charter record (figures available on request). Other notable features include zero-speed stabilizers (2011) and underwater lights. This beautiful luxury yacht is looking for a new owner as the current owner is willing to trade up. The yacht GREY PRINCESS was extended by almost 4 meters by a contractor in The Netherlands in 2014, from there the vessel underwent an extensive refit in the Holterman yard. The refit included the 4 meter extension which provided ample room for a tender and water scooter to fit in the garage. A larger swim platform was added along with new teak deck, bollards, jacuzzi and mini bar. 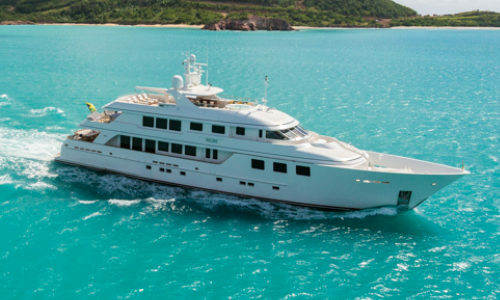 Motor Yacht GREY PRINCESS accommodates 8 guests in 4 staterooms. 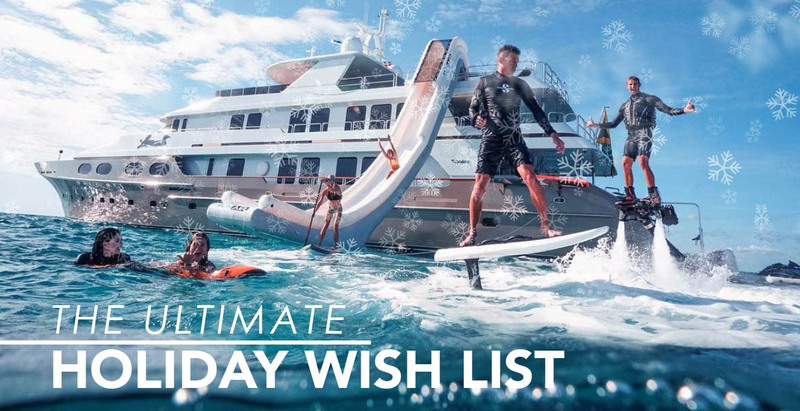 Featuring an on-deck master, VIP suite and 2 en-suite twin staterooms. 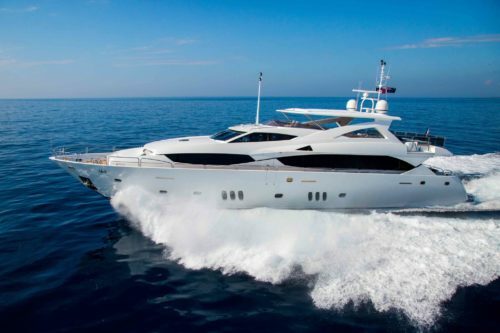 ANNABEL is stunning 2010 Sunseeker 88 Yacht, offered seriously for sale. Used only for private use since new, this 88 Yacht is in pristine condition. Fitted with twin 1947HP MTU 12V 2000 M94 engines, ANNABEL yacht for sale reaches a top speed of 27 knots. She is fitted with Tropical specification air conditioning, TRAC Star digital fin stabilizer system, generators upgraded to two Kohler 27Kw 50Hz with silent sound shields, flybridge GRP hard top and Bang & Olufsen upgrade throughout. The interior of ANNABEL has been completed using black American walnut in a satin finish, which is complemented by the cream and oyster leather soft furnishings. The luxurious accommodation on ANNABEL consists of four en-suite staterooms with berths for eight guests. The extensive exterior areas of the flybridge, aft deck and foredeck provide guests onboard with al fresco entertaining and dining spaces. 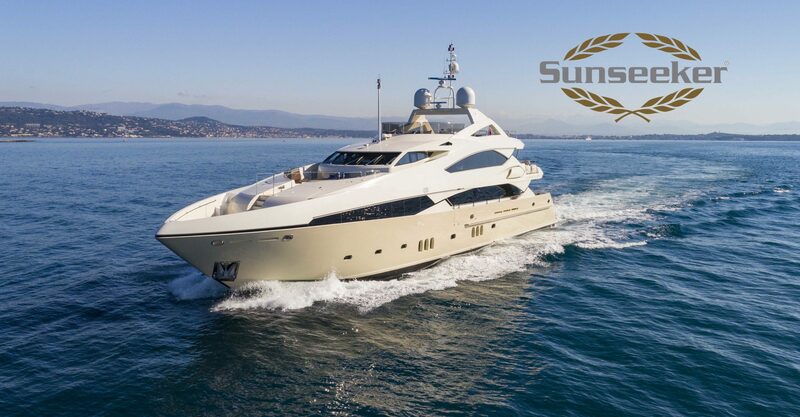 VITA is a perfect example of the extremely popular Sunseeker 88 Yacht. 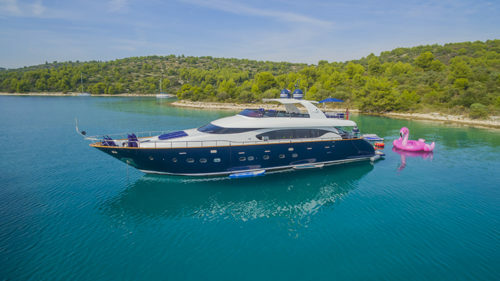 Built in 2010, this particular 88 Yacht was specially constructed for family use with practicality and luxury in mind.Her striking navy blue hull, opening hard top, TracDigital fin stabilizers and a pair of MTU2000 M93 engines propel her to a comfortable cruising speed of 21 knots and a maximum speed of 30 knots. Accommodating up to 8 guests in 4 en-suite staterooms, VITA yacht for sale is extremely well proportioned and allows for generous accommodation. The Fairline Squadron 78 DOUBLE O SEVEN offers generous living areas inside and out. Her chic modern decor with luxury furnishings and beautiful woods provide the perfect setting for stylish yachting in the Mediterranean. The spacious outdoor areas provide alfresco dining on both the aft deck and the Bimini-shaded flybridge. DOUBLE O SEVEN offers comfort and style, perfect for cruising with family and friends. Additionally, below are our central charter yachts available for Private Yacht Vacations in the Mediterranean.